The sole remaining GOP candidate, and presumptive Republican nominee has captured the bulk of the vote in California's primary today. 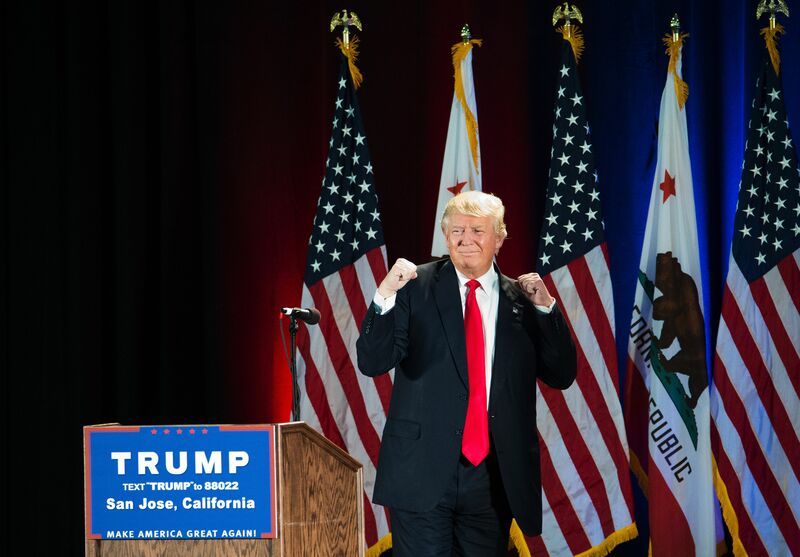 Just how many delegates did Donald Trump win in California? The former reality-television participant has captured the entirety of the Golden State's 172 member delegation, and claimed 75 percent of the vote, with Ted Cruz and John Kasich sweeping up the rest of the vote (and earning exactly no delegates). California's delegation is broken down into three different kinds of delegates, but they are all bound by a similar fate. At the RNC this summer in Cleveland, Republican delegates from California will be required to vote for the candidate that their constituents have chosen. It's slightly modified winner-take-all system based on a combination of local results and the statewide final tally. One of the big ways that the GOP delegation will differ from the Democratic one — the three Republican National Committee members that make up part of the at-large delegation (and there are three in every state) are bound to vote for the statewide winner, not whomever their conscience dictates. This may be one way — and really, perhaps the only way — the the GOP political establishment is more democratic than the Democrats'. With some in the GOP establishment toying with the idea of coming aboard the Trump Train, others, like political commentator Bill Kristol and his revolving door of anti-Trumps have decided that they aren't going down without a fight. After a concerted six years of astroturfing the GOP grassroots, it looks like the chickens are finally coming home to roost. Without swift maneuvering from those in the party establishment who abhor the idea of a Trump Administration (not to mention what he might do to the actual physical structure of the White House itself) when it comes to the rules and credentialing by-laws, the potential for a Trump Presidency seems to only keep growing by the day.